Download the Full Reading Guide Here! 1. In what ways does The Life-Writer explore the ideas of marriage and the ‘other country’ of the past? 2. 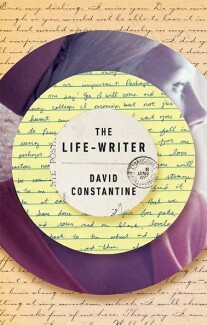 The author, David Constantine, is a poet, translator, and short story writer, in addition to a novelist. Considering the way poetry and translated works are treated in the novel, do you think his experience as such adds to the book? Did his discussions of translation surprise you? 3. Katrin is apprehensive about eventually having to “say wholeheartedly what love is like” and to describe the hugeness of grief and loss. Do you think the novel succeeds in doing what Katrin is so worried about? 4. This is a ‘quieter’ novel in that most of the ‘action,’ or drama, happens in the past and emerges through secondary means, such as letters or oral stories. Do you think this adds to the book? What is the effect of this technique? 5. Katrin’s abandoned Nine Lives project seeks to reclaim the lives of people subsumed by time and, in some cases, mediocrity. Beyond the end of the novel, do you think Katrin reclaims her own life? 6. If you could ask the author one question, what would it be?